Make lemonade as directed on can, using punch bowl or large container. Stir in tea. Serve over ice. Garnish with mint. During a heat wave at the U.S. 1904 World's Fair, a tea plantation owner didn't want his hot tea samples to go to waste. He dumped ice into his brewed tea, and iced tea was born! Mint and lemon slices are ideal garnishes. 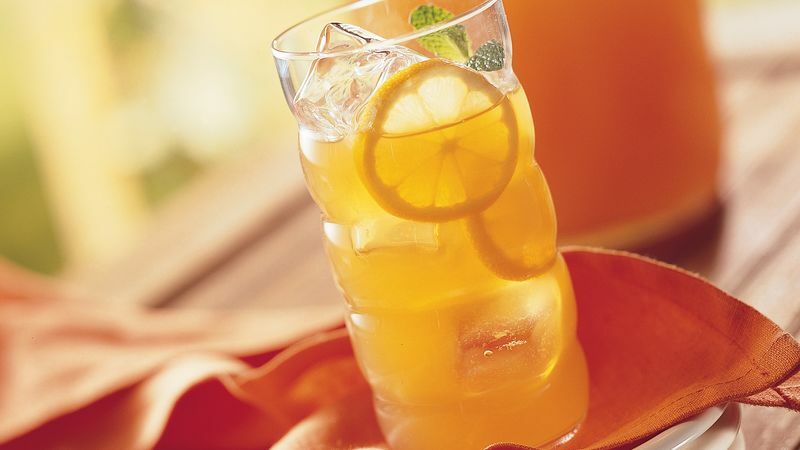 But you can really dress up this refreshing iced tea by serving it with a sprig of lemon balm, a fresh herb combining the fragrances of lemon and mint.